I've been looking forward to this for some time. Thanks, Mark, et al. Fantastic! Thank you so much for this. Great- I had to cut my original description down to an ADD version. Excellent news, Mark! This is fantastic. Thanks, Mark and crew, for adding further benefit to using Smashwords for publishing. My first book has been up for 24 hours and already there is an enhancement to the service? Wow. 4,000 characters is very good news, indeed! I noticed the bio when I was checking my Barnes and Noble listings in the last couple of days, and it was a pleasant surprise. Of course, I've also noticed one of my titles, "Playing the Baseball Card" well into the top 1/2 of 1% sales rank at B&N. Of course, it helped that I recently got a very nice totally unsolicited review calling my it a "great book" and "very inspiring." Can you hear me cheering in the background? I will now proceed to do my useful and important homework to add the longer book descriptions. And now, finally, lest I sound a little ungrateful, I hope that I will soon get a surprise telling me that I'll get my books on Amazon. Great news! Will update my descriptions today! Thank you for continuing to improve the Smashwords experience, Mark. This is fantastic news, Mark. What a timesaver this will be for me moving forward, not having to condense the blurbs for my books. The changes keep coming (almost entirely for the better, I'll add), but while I'm thinking of it ... Mark, any updates soon on Google Editions? Or is that still in the negotiations stage? Good news, Mark! This is an excellent change and will allow the descriptions at Smashwords to match the back-cover copy and Amazon descriptions. Awesome. Let's just say Apple, B&N, Sony, Kobo, Diesel and Amazon are showing much more love and respect for indies. Beyond that, I'll bite my tongue for now. Mark, thanks for the response. I'll keep my eyes and ears open. And hope for the best. Great news, Mark. Thank you! I will pass on the announcement. Thank you, Mark. Those one-page synopses for Literary Agents of Renown will be unearthed and sent forth. Great information, Mark. I'll work on my descriptions. On another point, I want to let you know about my new blog, dedicated to posting reviews for Smashword eBooks. I've started with my own, but I'll be reviewing others as I move along with it. And yes, I have links to the eBooks enrolled in the Affiliate program. Thank you for this Mark! We do appreciate all you do for us to boost sales and make this the best distro site and publisher ever! Keep up the good work! Thank you for all your hard work Mark. We do appreciate all you guys do for us and it does not go unnoticed! Thank you for all your hard work Mark! We appreciate all your hard work to turn Smashwords.com into the best distro and pub site for ebooks! What you're doing is amazing. Looking forward to working with you in the future. The light at the end of the tunnel is an on-coming Smashwords account. Thanks Mark for welcoming me aboard. The long wait for Smashwords to blossom is over. Now I see the results - bravo. As an indie-author I relish my $20 here $20 there. Hey, but my overhead is zero. I'm looking forward to adding my horse books and teen mysteries to Smashwords! 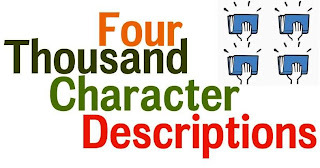 Can we use limited HTML tags in our book descriptions, such as those allowed here on the blog and at sites like CreateSpace? I notice that paragraph breaks don't show up at the online retailers.